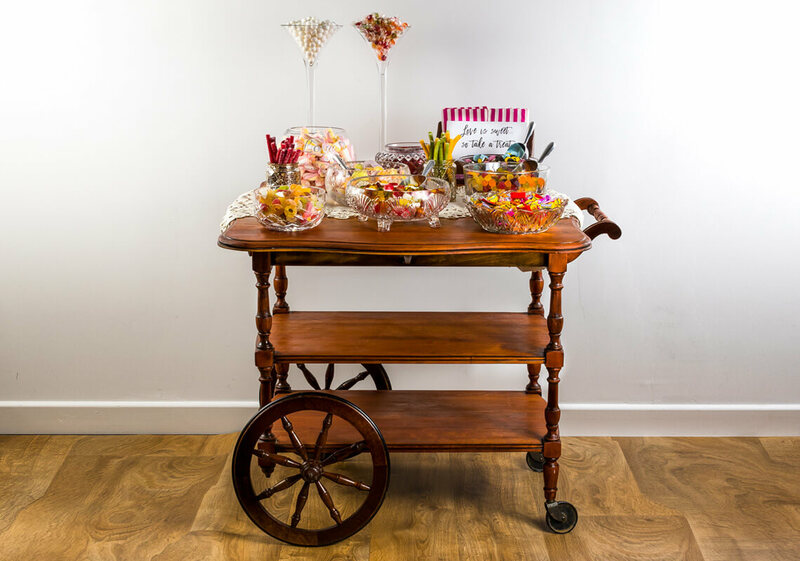 Our beautiful vintage sweet cart is available on a dry-hire basis only. This means that we provide the sweet cart and all accessories but we do not provide the sweets. We select the dishes from our wide range of elegant glassware. 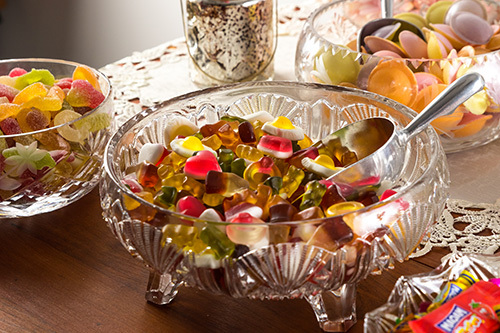 Each bowl is carefully chosen specifically for your table setup to ensure there is space for the full variety of sweets that you are planning. 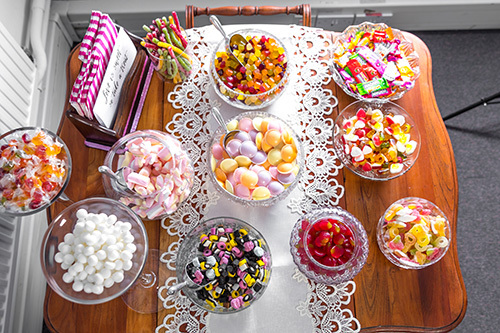 A stylish box is provided which can be stored on the cart’s shelf so that you (or staff at your venue) can restock the bowls during the day if you have leftover sweets. Define the Day holds full public liability and equipment insurance. Our sweet handler holds a Level 2 Food Hygiene for Catering certificate. Our business is fully registered with Swindon council. Details can be provided upon request. … or anything else that you’re celebrating! Define the Day are Swindon based but will travel to your event. Delivery is free within 10 miles of our Swindon (SN3) base. A small delivery charge applies for distances further than this. South West sweet cart hire destinations include: Abingdon, Avebury, Bath, Bristol, Calne, Cheltenham, Chippenham, Corsham, Devizes, Didcot, Gloucester, Hampshire, Hungerford, Marlborough, Newbury, Oxford, Oxfordshire, Pewsey, Reading, Royal Wootton Bassett, Stroud, Swindon, Thatcham, West Berkshire, Wiltshire, Witney, Wroughton and everywhere in between! If you book us for your wedding video then you can hire our wonderful vintage sweet cart for only £65 – that’s a saving of £25! Which hire services are you interested in?